When a jewelry company has been around for almost 35 years you know that they are doing something right! With Judith Jacks' legacy of fine quality, signature design, and unique styling it's obvious why they have been around so long! 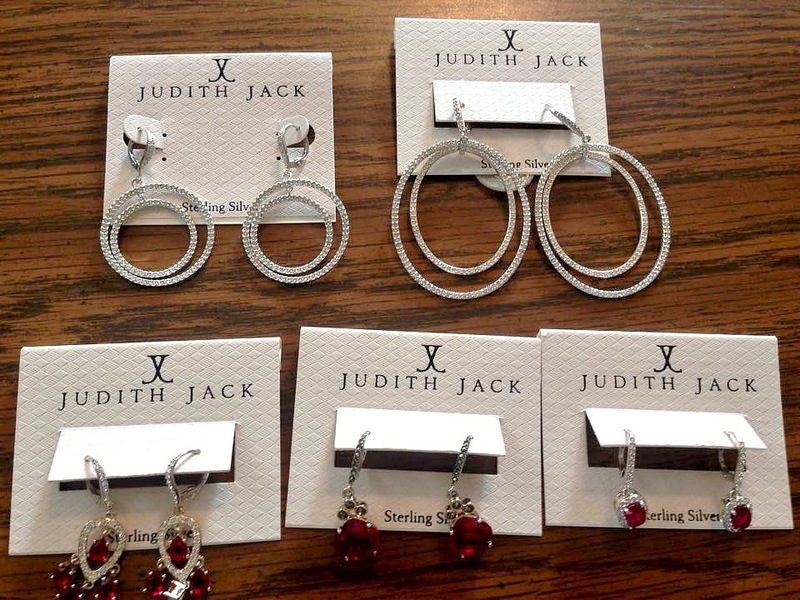 Judith Jack jewelry is found in major retailers such as Nordstrom, Macy's and Lord & Taylor! Can also be bought online on those websites, Amazon, Zappos and more! Keep reading to see the beautiful pieces that I received from Judith Jack! Judith Jack has the highest quality and best style jewelry but comes with a price tag that is perfect for everyone to afford. With the holidays right around the corner it is hard to find jewelry for everyone on your shopping list that fits everyone's style and is in your budget. Judith Jack is here to cater to that problem by providing beautiful prices without the extreme price tag! I have received part of their holiday collection jewelry items. Rings, necklaces ,bracelets and so much more. I am so fortunate to get to share all this beautiful jewelry with my friends and family! I was automatically drawn to the three set of rings. I do not always like to wear my engagement ring and wedding band and I felt like these rings were so elegant that I could pull them off as a wedding set! For the holidays I especially love the necklace sets in a box and the bracelets in their perfectly easy to wrap gift boxes! Head to the Judith Jack website or to the major retailers that they are available in and get your holiday shopping for every lady on your list done! Visit the Judith Jack Website HERE! "Like" Judith Jack on FACEBOOK!